There’s nothing foolish about this 1st of April! There is aboslutely nothing foolish about the 1st of April, 2011, because this is the day that SU have released their sensational new Autumn/Winter Mini Catalogue. 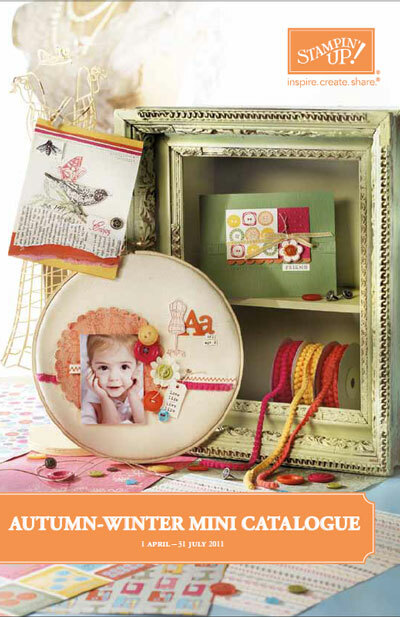 This catalogue is chock-a-block with amazing new product releases. (especially for those partial to stitching!) Now there’s a great clue. If you’d like your very own copy of this beautiful mini catalogue, please email me now and I’ll put one into the mail for you. I’m also offering special incentives for anyone wishing to join my team during the month of April! Contact me today to find out how you can become a Bent Ink-lination and enjoy being a hobby demonstrator receiving great discounts on your scrapbook and stamping supplies OR you can build a healthy business to supplement your income. Whatever you choose you will be most welcome to join a happy, nurturing and progressive team.